In 2013, Cryo Chamber made a running start in the dark ambient world with the releases of new works by Atrium Carceri, Sabled Sun, Halgrath, and a compilation, Behind the Canvas of Time featuring many of the top artists in the genre. They continued to solidify their presence over the next few years with multiple releases by artists which would become label veterans, like Alphaxone, Ugasanie, Randal Collier-Ford, and Flowers For Bodysnatchers, to name a few. But, now about five years into their existence, Cryo Chamber is really starting to dabble in new territory. 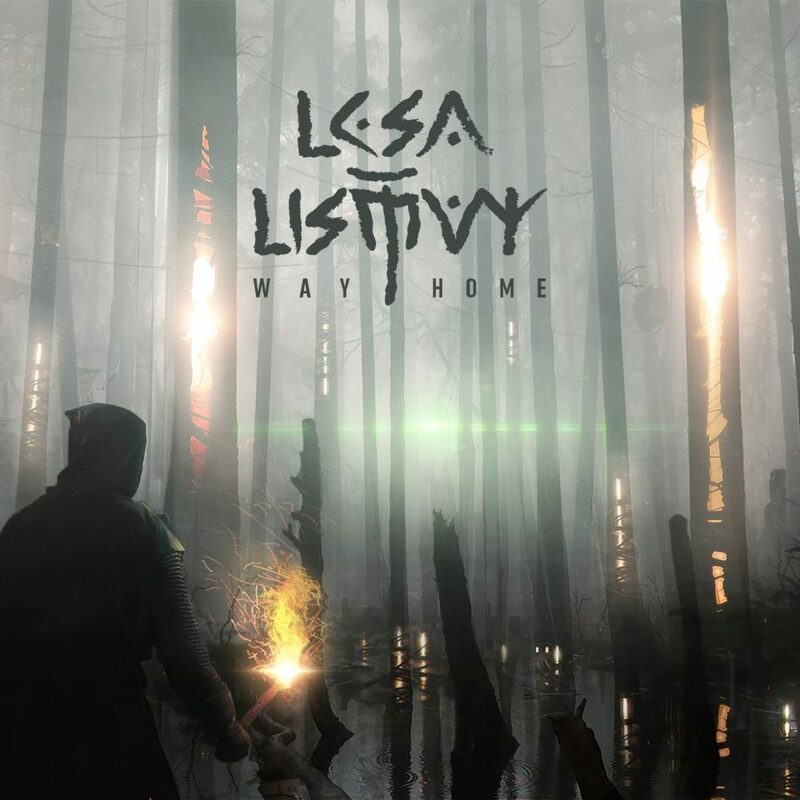 Releases like Wordclock – Heralds, the Miles To Midnight collaboration, and now Lesa Listvy – Way Home, all incorporate elements which lean more in the direction of more active musical genres. While staying true to the themes and general atmosphere of the label, the introduction of drums, saxophone and bass guitar, to name a few, opens the label up to a new group of listeners, while introducing their current fan-base to yet more novelty. Lesa Listvy, or Леса Листвы, is a Moscow-based quartet, as Cryo Chamber puts it. But this is the only information I can discern, thus far, about the musicians behind the music. It would be interesting to know who plays what, but its likely that everyone does a little bit of everything. Along with the four members: Daniil Sheremet, Ryazantsev Dmitriy, Armenak Voskanyan, and Stanislav Smirnov, they implement the use of contributing artists: Max Tsibizov, Boro, and Ilya Orange (also without specific duties indicated). But this isn’t really a hindrance to enjoyment of the release. In fact, for me it’s done a bit of the opposite. I have found a bit of added entertainment in trying to discern what is live instrumentation, modular/digital synth or field recording. Though, in the end, I’ve found that this ultimately doesn’t have any bearing on my feelings about the album. “The Hedge” slowly builds momentum over its first two and a half minutes, before bursting into an energetic industrial percussion-laden second half. There are numerous intriguing sounds to follow throughout this second half, including some quite well inserted piano parts. “Obelisk”, again, holds many stylistic similarities to Atrium Carceri, this one starting active and holding its intensity throughout, though, in general, it is less energetic than “The Hedge”. This brings me to “Swarm”. My personal favorite track on the release. And one that I was not surprised to see Simon Heath (Atrium Carceri, mastered Way Home), mention he keeps coming back to it for repeated listening sessions. This one has a thick atmosphere, as if one is deep in some catacomb or abandoned factory, but on Way Home this sentiment seems to be more representative of some dank heavily-forested swamp lands, as is certainly the case for the album’s cover-art. Taking the track titles and general feel of the album into account, I get a sense of “Swarm” representing the arrival of some non-human antagonist into the story. I almost get a Starcraft Zerg feeling from the music. Technicalities and possible plot references aside, Way Home is a deeply enjoyable album. It can become incredibly active at times, as mentioned above, but it can also be reserved and beautiful, like on my other favorite, “Evening by the Lake”. 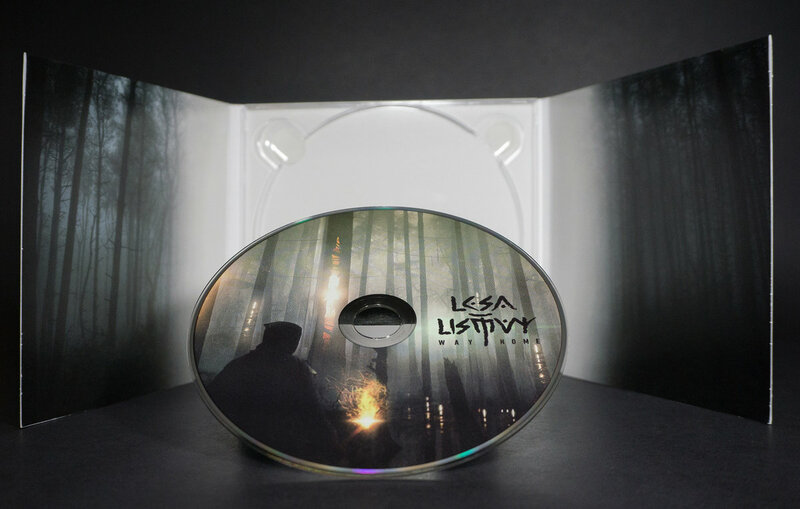 This opens Lesa Listvy to a potentially large audience, having something attractive for the die-hard dark ambient fans, as well as those most interested in sonic discovery and adventure. It also makes for quite nice background soundscapes, as it never becomes overly invasive during its most intense moments. I’m pleased to see Cryo Chamber testing new territory; and Lesa Listvy should give listeners enough reason to feel comfortable discovering whatever is to come next.